Born on February 22, 1976 in Dushanbe, Tadjik SSR. In 1999 graduated the Department of Philosophy of Humanity at the A.I. Hertsen Russian State Pedagogical University. On December 01, 1999 was admitted to the doctoral course at the St.-Petersburg Branch of Institute of Oriental Studies of the Russian Academy of Science. In June 30, 2004 defended the PhD dissertation entitled The Concept of Royal Power in Buddhist Canonical and Postcanonical sources. From December, 2002 up to present - researcher at the St.-Petersburg Branch of the Institute of Oriental Studies (now the Institute of Oriental Manuscripts) of the Russian Academy of Science. His major academic interests are socio-political ideology in the countries of the Asian-Pacific Region, biographies of Buddhist teachers and kings. 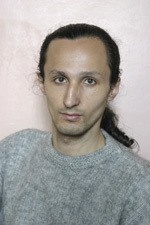 Shomakhmadov S.H. [Review:] Indische Handschriften. Teil 19. Die Śāradā-Handschriften der Sammlung Janert der Staatsbibliothek — Preußischer Kulturbesitz. Beschrieben von Gеrhard Ehlers. Stuttgart: Franz Steiner Verlag, 2016, 145 p. // Written Monuments of the Orient. 1(7), 2018. P. 124–126. Шомахмадов С. X. Учение о царской власти (Теории имперского правления в буддизме) / Ответственный редактор В.И.Рудой. СПб. : Петербургское Востоковедение, 2007. 272 с. (Серия «Orientalia»).